VANCOUVER — About 18 years ago, when La Center resident and Wellhaven Pet Health CEO John Bork was handed a battered and bloodied German Shepherd by a father trying desperately to keep his emotions together for his two young daughters, Bork was also unknowingly accepting what would become his professional calling in life. The realization didn’t take long. After handing the injured animal over to a veterinary staff that moments earlier had been discussing weekend plans and preparing to leave the office at 5 p.m., he watched as the dog was stabilized, treated and released at the direction of veterinarian Tammy Andrews. By about 10 p.m., an exhausted staff that hours earlier had thought they were heading home was at long last able to do so. Except, as Bork walked to his car in the frigid Minnesota night, he spotted Andrews standing disheveled outside her own vehicle, seemingly trying to pull herself together. He approached and asked if she was OK. In that moment, Bork says he realized what has become his calling. Veterinarians love animals. Bork learned quickly that he loved veterinarians and, in addition, his background in business was the perfect avenue to show his affection. The cold night in Richfield, Minnesota, was the starting point of an 18-year career with what would become Banfield Pet Hospital, the largest company of its type in the world with just under $1.5 billion in revenue and more than 1,000 locations. Bork, who initially came to that Minnesota animal hospital as a business consultant and rose to vice president of hospital operations, helped usher in an era of growth beginning at a time when the company had just 50 locations. 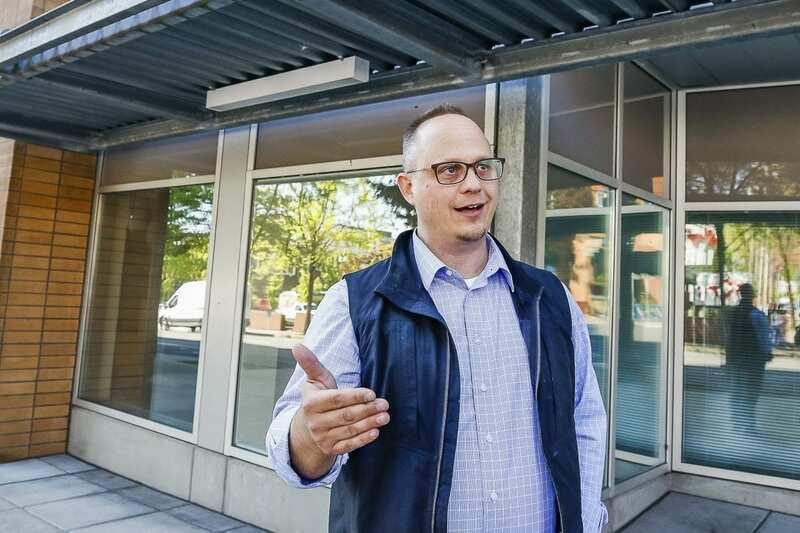 Now, he’s the CEO of his own company, one that has chosen Vancouver as its headquarters and has charted a course for explosive growth in a four-state area. WellHaven Pet Health is built with a culture and spirit that stays true to Bork’s desire that all operations revolve around creating hospital atmospheres that preserve, protect and grow the love veterinarians have for their professions while allowing them the time to pursue interests at home and at play. 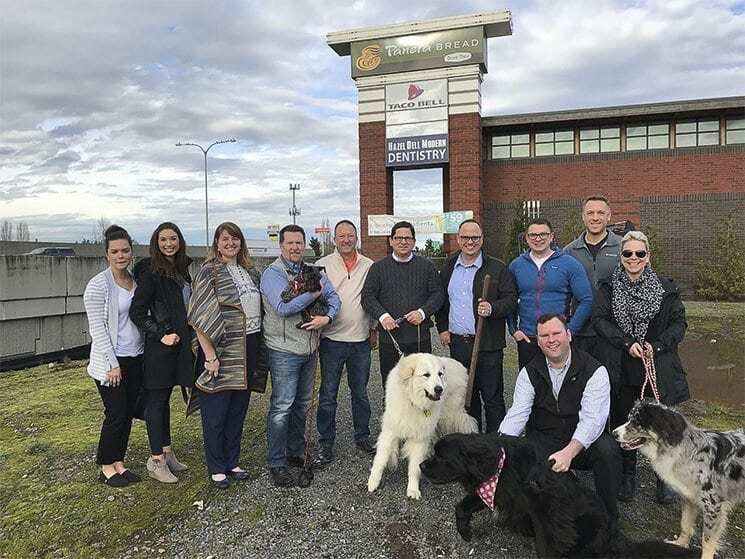 As of late April, the company, founded in July 2017, was in the process of building 12 veterinary hospitals in Washington, Oregon, Colorado and Minnesota. That’s in addition to the 22 hospitals the company has already purchased as it plans to have 45 to 50 hospitals by the end of the year. Seven practices have already signed letters of intent to sell to WellHaven. The numbers shift rapidly as Bork and his team identify current veterinary hospitals that fit their vision while building others to the same specifications. Three of those hospitals will be located in Vancouver, with one in Hazel Dell and another near the intersection of 164th Street and Mill Plain that will feature a day care for dogs. The crown jewel of the entire operation is already under construction at the corner of Washington and Eighth Street in the heart of downtown Vancouver. 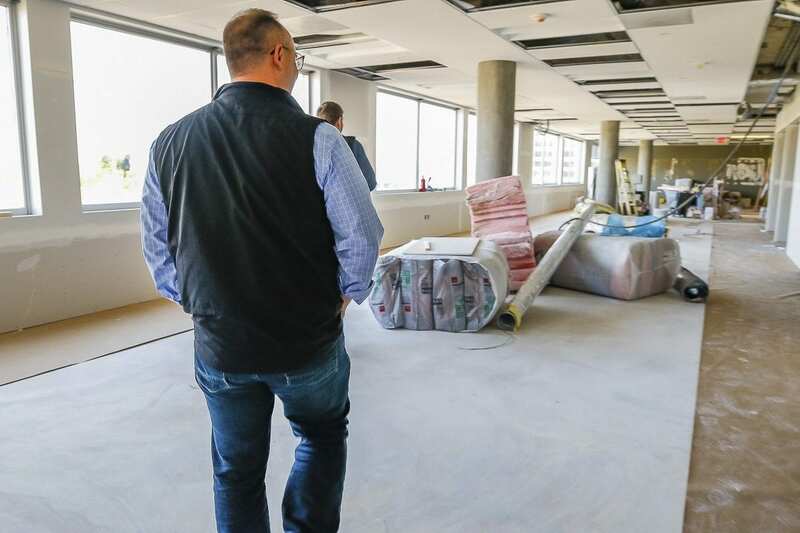 The WellHaven Campus, as the corporate headquarters will be known, is currently being built on the fourth floor with a stunning view of Mount Hood and an open office plan that will soon be bustling with activity. On the ground floor of the same building, work is also underway on what will become the only veterinary hospital in downtown Vancouver, a facility where Bork and his management team will be able to provide care while testing out new programs and treatments in an innovative and professional environment. The company is backed by the private equity firm Capricorn Healthcare, based in Palo Alto, Calif., but Bork said its driving force outside of finances is its mission to build a culture that keeps good veterinarians in practices that have in many cases been struggling previously. Bork, who moved to La Center with his wife Christy 13 years ago and has a 19-year-old daughter named Emily and a 16-year-old son named Joseph, has learned a lot since the night when, as a consultant trying to understand the veterinary hospital industry, he was handed an injured dog named Max while spending a day as a staffer in the facility. About 90 percent of new veterinarians are women, he notes, and many of them made the decision to pursue their professions at a young age. They go to school, join or build a practice and eventually learn that operating a small business can be difficult, time-consuming and stressful. By the time they reach their 30s, many of them are jaded and would no longer advise their own children to enter the industry if their youthful aspirations should point them in such a direction. Those are the professionals Bork and WellHaven hope to add to their burgeoning company. In the last nine months, they’ve added practice after practice to their portfolio, targeting specific situations, opportunities, locations and facilities where good doctors most often stay in place after selling to WellHaven. That’s not a requirement. With a combined 220 years of experience in the industry, the management team at WellHaven is well-connected when it comes to placing professional and experienced physicians as the principal doctors at newly-acquired or constructed facilities. Some hospitals have kept their existing names and branding while others have been fully emblazoned in the WellHaven logo. Others have co-branded. It doesn’t matter much to Bork, he says, though the company continues to test and monitor the different arrangements across the four states, in addition to sites in Montana outside their main area of focus. What’s most important is that the entire company remains focused on what drew his intense interest to the industry, and that’s making happy veterinarians. Scaling out the happiness of veterinarians appears in many ways to be Bork’s goal. To accomplish that task, he plans to innovate constantly while remaining laser-locked on his primary mission. For the corporate team, that will mean everyone working a shift in the ground floor hospital below the fourth-floor headquarters once a month. An accountant doing payroll could very well be served by working side by side with a doctor who must euthanize a pet, Bork reasons. It brings the profession into focus in a real and literal way, creating the possibility that others in the organization might experience the same life-changing moment Bork did when he was handed a dog after being mistaken as a doctor all those year ago, if they haven’t had such an experience already. “We’re the lead tech,” Bork said. “We’re one step in front making sure she has everything she needs so she can go create great medical care and great communications with the clients. So for me to be successful, I have to be one step ahead of her. I have to know what her issues are. It won’t be enough to succeed once, twice or even 10 or 20 times when it comes to following through on the promises he has made, and continues to make, to veterinarians who have joined or been acquired by WellHaven. Trust, he says, is the key to his model being successful. 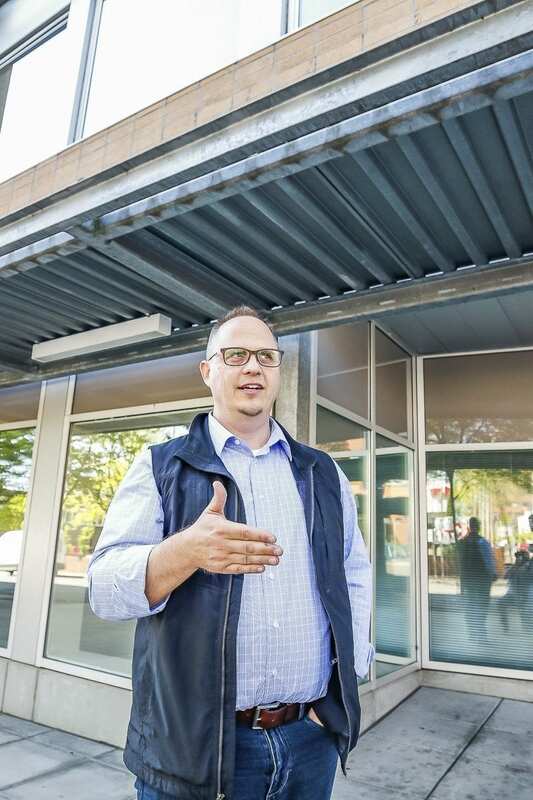 Borks said downtown Vancouver offered a lot as the headquarters for his rapidly growing company. Washington, Oregon, Colorado and Minnesota were chosen as the launching pads for WellHaven because of their proximity to universities where great veterinarians are produced, he said. For Vancouver, that means Washington State University and Oregon State University. Bork plans to establish pipelines where a freshman veterinary student can gain experience and then, after graduating, join a WellHaven practice immediately. Then it’s on the company to keep her satisfied for the long term. Vancouver made sense as a home base for a number of reasons, Bork said, one being its appeal to millennials, a demographic he says must be pleased by his business model both as customers and participants in order for he and his partners to succeed. Younger generations are getting married and buying homes later in life than their predecessors, but there’s one thing they’ve been doing earlier than most generations, and that’s becoming pet owners, he said. In creating a culture for WellHaven, he’s sought to embed subtle and overt indicators that the company is a good landing spot for everyone from a promising and talented young veterinarian to a caring dog owner in search of a place to treat their pet. Millennials, Bork says, are passion-centric, and in many cases their passion is their pets. For young veterinarians, their passion might be skiing, hiking or simply spending time with their families. Bork says providing and fostering that happiness on both ends of the business — provider and client — is crucial to WellHaven’s mission. At the fourth-floor WellHaven Campus, Bork can already identify some fun fringe benefits that will help form the ground floor’s culture. The open office plan will allow for easy communication and its location a short walk down the stairs from an actual hospital will provide a rapid avenue for innovation. Other benefits and would be culture-drivers are more creative, such as a signature beer called Bunz Brew IPA that’s named after the rabbit in the WellHaven logo and brewed by Heathen Brewing just down the street from the headquarters. It will be served in the office every Wednesday. At the same brewery, the company plans to pick up the tab for tacos and other food every Tuesday through a Taco Tuesday initiative. It’s all about creating a fun, efficient and effective culture that Bork says always circles back to creating satisfaction in both the professional and personal lives of WellHaven veterinarians and staff. Bork’s mind often returns to that cold night outside a Minnesota veterinary hospital where he saw Tammy, a skilled and caring veterinarian, reduced to tears after investing her “heart, tears, sweat and soul” in their profession. He said the goal of his business is that people like Tammy never leave the industry. Beyond that, he wants happy veterinarians to believe so much in their purpose that they can again encourage the next generation to pursue it. “I want those doctors to be able to tell their 5-year-old daughter to go be a veterinarian,” he said.